In a new peer-reviewed study, scientists assess the killing method employed by the dolphin hunters of Taiji, Japan, by watching video recorded surreptitiously in 2011 by a German dolphin-protection group, AtlanticBlue. Here’s the researchers’ not-so-surprising prime conclusion: This killing method does not conform to the recognized requirement for “immediate insensibility” and would not be tolerated or permitted in any regulated slaughterhouse process in the developed world. Annually in Japanese waters, small cetaceans are killed in “drive hunts” with quotas set by the government of Japan. The Taiji Fishing Cooperative in Japan has published the details of a new killing method that involves cutting (transecting) the spinal cord and purports to reduce time to death. The method involves the repeated insertion of a metal rod followed by the plugging of the wound to prevent blood loss into the water. To date, a paucity of data exists regarding these methods utilized in the drive hunts. Our veterinary and behavioral analysis of video documentation of this method indicates that it does not immediately lead to death and that the time to death data provided in the description of the method, based on termination of breathing and movement, is not supported by the available video data. The method employed causes damage to the vertebral blood vessels and the vascular rete from insertion of the rod that will lead to significant hemorrhage, but this alone would not produce a rapid death in a large mammal of this type. The method induces paraplegia (paralysis of the body) and death through trauma and gradual blood loss. This killing method does not conform to the recognized requirement for “immediate insensibility” and would not be tolerated or permitted in any regulated slaughterhouse process in the developed world. Q. Can you tell me in a few words what this analysis means to you in the larger context of human/animal relations? A. Dolphins are a cognitively and socially complex species that exist in their own societies in the seas. To see any animal treated in this way is shocking. Given what we know scientifically about the awareness, sensitively, cognitive and social prowess of dolphins, this treatment is unjustifiable and unacceptable and needs to be stopped immediately. In the larger context of human and non-human animal relations, the methods used to herd dolphins and then kill them is off-the chart in terms of any concern for animal welfare. At a time when most countries are concerned for the conservation and welfare of dolphins and whales it is strange and disturbing to see a modern country like Japan continue to ignore scientific knowledge and concern for these species. In most modern countries these mammals are protected but sadly we see these exceptions. Our scientific knowledge needs to transcend cultural and geographic boundaries and these species need global protection. Q. One of the standard replies from Japan on this issue (whether with whales or dolphins) is that we, for example, cherish bison but eat bison burgers. Is there a distinction? A. You cannot compare bison to dolphins in the cognitive domain. However, bison are not killed in this inhumane manner. Nor are lab rats. In cases in which animals are domesticated for food, most modern countries are striving for better animal welfare practices that minimize pain and suffering during the killing process with the goal to render an animal unconscious quickly before it is killed. 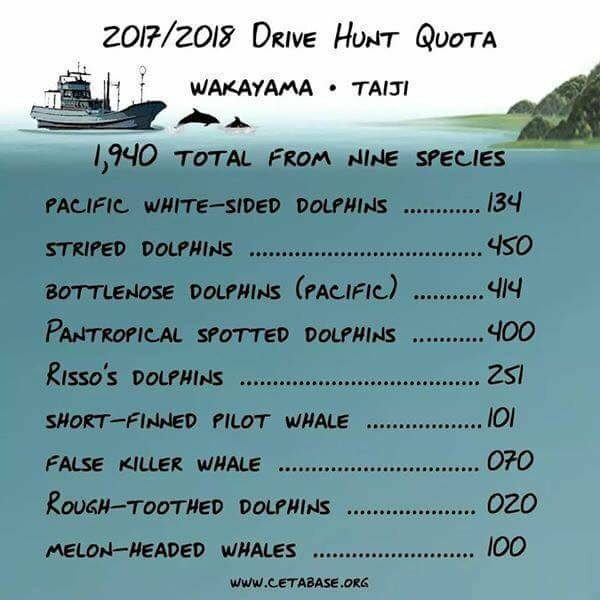 This is not the case in the dolphin drive hunts. These are not domesticated animals; they are wild dolphins that are captured within their social groups, mother and young, and slaughtered using a technique that actually prolongs death, pain and suffering. The herding procedures themselves are inhumane and may include forced submersion as the dolphins are dragged by their tails to shore to be killed. This is not to say that dolphins should be killed. They should not. In an interview last month with the journalist David Kirby, Mark Palmer, the associate director of Earth Island Institute’s International Marine Mammal Project, estimated that the dolphin hunters of Taiji killed nearly 900 dolphins and pilot whales this season and kept nearly 250 to sell for alive to the aquarium trade (which is booming in the Middle East and Asia).